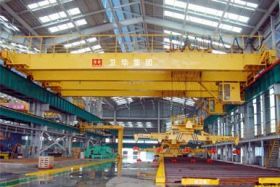 A mast upstanding integral lifting bridge crane in the plant are generally used, the height of the vertical mast, location of the bridge crane have an important role, because it can not only improve the overall lifting, but also can improve work efficiency, shorten construction period, reducing aloft work. Here we look at the requirement on bridge crane to erect the mast. 1. Mast height: maximum height of the mast is the height from the ground to the roof minus the top of the mast to the operating space between the roof and the height of the mast inquiry sleepers. 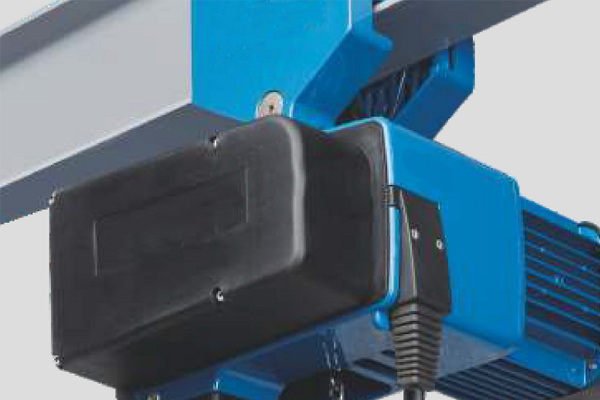 It should meet the required lifting height of minimum height. 2. 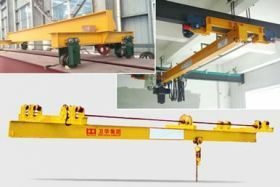 The mast position: As required the mast need to be erected in the center of gravity of the cart between the two main beams of bridge crane, the trolley must be biased, but the mast should be offset from the centerline of the plant. Its offset should be based on the weight of the cart, trolley weight and offset distance, determined by calculation. 3. Mast bottom processing: bottom of the mast should be compacted, smooth, spread over two sleepers, rail or beam can be added between the two sleepers if necessary, laying endurance base area shall be determined by calculation ensuring that the ground bear mast axial pressure. 4. The method of erection of the mast: use mobile cranes, fast and safe and can also use crane beam corbel erecting the mast, the mast can also be used auxiliary mast to stand mast. 5. Hung pulley block, winch set for small and medium-overhead crane can be hung two sheave blocks, with two lifting hoist, hoist distance from the setting place to the center of the mast is longer than the length of the mast, winches can be fixed by the plant column roots, but it should be tied at the pad wood protection.